Megyn Kelly says she left Fox News Channel to bring more joy to her life. NBC hopes that starting Monday, she can spread some to the network and its viewers. The former Fox News Channel star and Donald Trump foil debuts her talk show at 9 a.m. EDT, nestled into the four-hour "Today" show block and competing in most of the country with Kelly Ripa and Ryan Seacrest's "Live!" Kelly hosted a Sunday-night newsmagazine this summer to middling ratings, and it returns next spring. It's the daily talk show, in the lucrative morning market, that will ultimately determine the wisdom of NBC News' decision to hire her. She promises that "Megyn Kelly Today," shown live with a studio audience, will be an information-packed hour with a sense of fun. "It will be very similar to the 'Today' show, but we're going to have a lot more elbow room," she said in an interview. 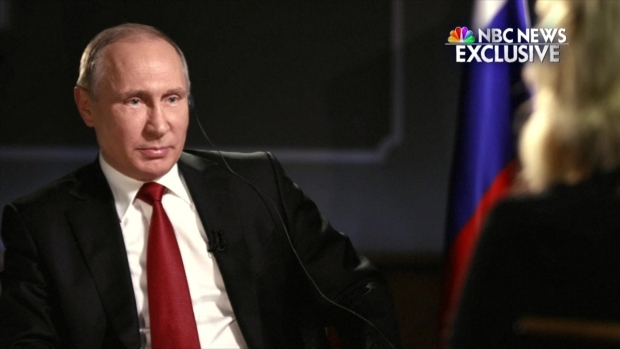 In Megyn Kelly's inaugural June 4 episode of her NBC news magazine, "Sunday Night With Megyn Kelly," Russian President Vladimir Putin addressed the claim that Russians interfered in the 2016 U.S. presidential election. Ellen DeGeneres initiated Kelly into daytime TV this week by having her awkwardly toss pizza dough, stuff herself into a fat suit and dance with the audience; Kelly smiled and played along. It was a long way from her Fox life of pressing the future president at debates, enduring his Twitter taunts and being the ringleader for an hour of politics each weeknight. The Trump trauma wasn't why she left Fox, Kelly said. She compared it to her decision to abandon law to become a journalist and ending her first marriage: they weren't bad experiences, but she knew there was something better. The truth, Kelly said, is that she's not a political junkie and cable television news is all about politics. "I don't want to talk about Trump all day," she said. "In fact, the bar is very high for Trump coverage (on 'Megyn Kelly Live'). If you want Trump, you can watch virtually every channel in the country and get Trump non-stop. I think people are looking for a break from that. Not just Trump, it's inside the Beltway. I don't want to talk about Mitch McConnell either, or Chuck Schumer or Nancy Pelosi." "Live! With Kelly and Ryan" is a celebrity- and entertainment-oriented talk show. Kelly said her program will be uplifting and more substantive: recent trial runs had segments on reacting to the Equifax breach and protecting yourself from attack. Mental health, bullying, coping with divorce and tips for job interviews are the type of topics she'll cover. Not news, but not fluff, either. Trying to imitate the formula of "Live!" would be a huge mistake given its success over decades, said Bill Carroll, a consultant and expert on the daytime TV market. Name recognition, a consistent time slot across the country that makes the show easier to promote, and affiliation with the well-established "Today' brand give Kelly some advantages, he said. "She faces the challenge that every new program has," he said. "Everyone is going to be looking to see if the show maintains the momentum of the 'Today' show." Expecting Kelly to beat her more established rival is probably unrealistic; NBC will be looking most closely at how "Megyn Kelly Today" compares to the nondescript third hour of "Today" that preceded her. But attesting to the power of "Today," the networks are already closer than you might think: "Live!" averages 2.8 million viewers, while NBC has been at 2.4 million in the hour, according to the Nielsen company. A few blocks uptown in Manhattan, veteran "Live!" producer Michael Gelman said his focus will stay internal. "I'm not being dismissive, but I don't really think that much about the competition," he said. The Trump saga and, perhaps, the debate earlier this summer over whether her newsmagazine should have given a platform to conspiracy theorist Alex Jones, took a toll on Kelly's image. While audiences are much more familiar with her, she's become a polarizing figure. Among women — the target audience for "Megyn Kelly Today" — her positive "Q'' score tumbled from 21 two years ago to 4 this summer, said Marketing Evaluations Inc., a company whose data measures the relative popularity of individual personalities. 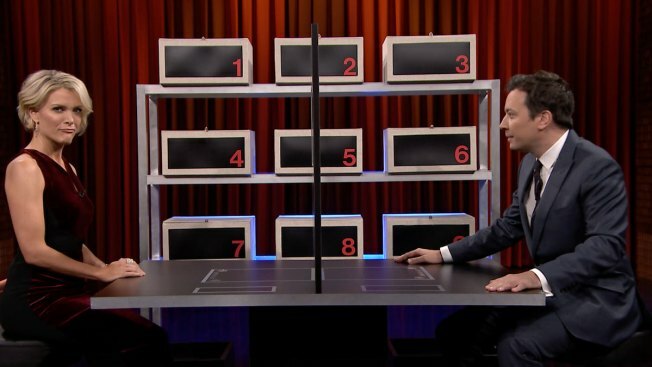 The average score for TV hosts is 15. Figures like the Kardashians, Martha Stewart and Howard Stern are polarizing yet popular, too, said Henry Schafer, company spokesman. It remains to be seen if Kelly's potential audience won't be too turned off to watch. While Trump himself has moved on, many of his followers haven't. The conservative Breitbart news site has Kelly in its sights, with unsourced stories in recent weeks saying NBC co-workers were bothered by Kelly's "divalike" behavior, and that NBC insiders are in a "total panic" about the show. Kelly has quit social media, saying Twitter is a den of misogyny. "There's always somebody who wants to pull you down," Kelly said. "The more you mire yourself in that negativity, the more they steal your mojo. I just feel like this is between me and my viewers. The noise along the ride — I can't listen to it and I know my viewers won't listen to it. They're going to watch the show and either they're going to feel a connection to me or they won't. And that will be on me." The "Today" show is owned and distributed by NBCUniversal, the parent company of NBC News, MSNBC, and this station.